The Air Vip range is designed and manufactured to remove solid particles, oil mist and vapor from compressed air and gases. 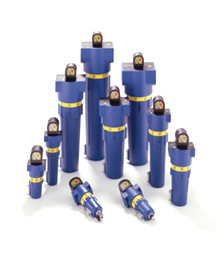 Filter elements are available in many different grades of filtration to achieve optimum performance. Housings are available in both aluminium and carbon steel, and are designed and manufactured in accordance with E.E.C. Directive PED 97/23 CE.